There when you need them, hidden when you don't! 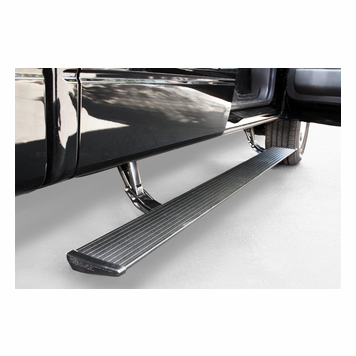 AMP Power Step Running Boards take your vehicles versatility and functionality to the next level by providing a sure-footed step whenever you need it. These AMP Running Boards are fully automated with your factory door sensors. When you open the door, they extend and offer a secure stepping point, and they immediately tuck themselves away into a concealed pocket once your doors are closed. 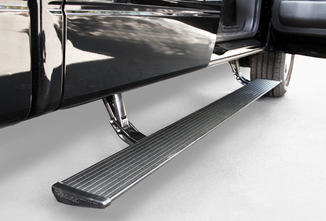 With this simple add-on to your pick-up, you can easily step in and out of your vehicle without sacrificing ground clearance. Works with all cab configurations, some modifications may apply. Able to hold up to 600 lbs.